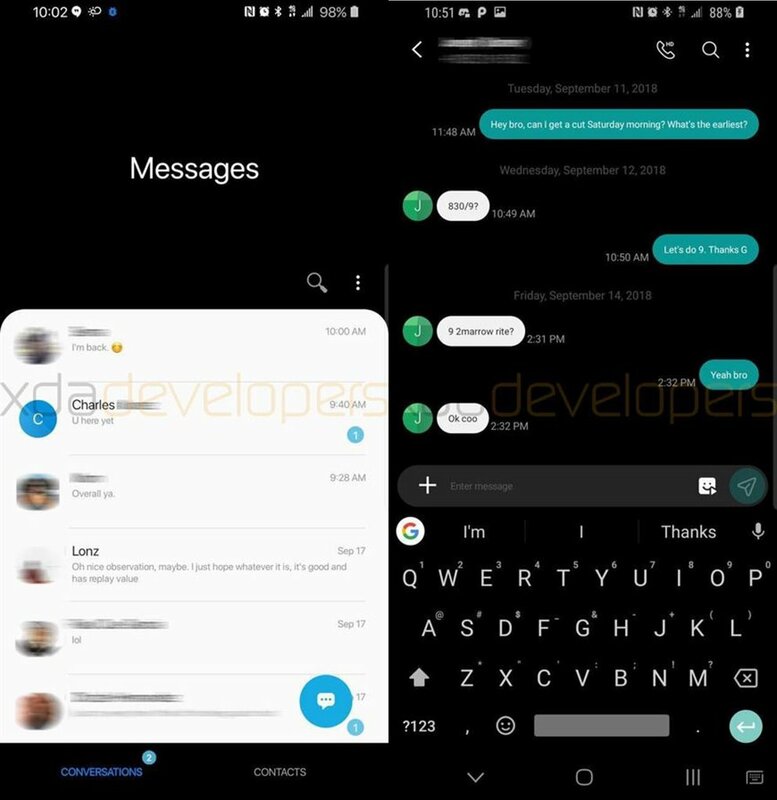 That Android 9 Pie gets a gesture control, was already known. Compared to the iPhone competition, where only Apple decides on the appearance and operation of the operating system, cooking in the Android sector, the manufacturers but their own soup. Whether and to what extent Samsung takes over the gesture control from Android 9, so far was still a mystery. The XDA developers are now shining light on the dark. On the developer platform, a pre-series firmware for the Galaxy S9 has emerged that is based on Android 9 Pie and actually brings a new gesture control. In version 10.0 of the so-called “Samsung Experience”, the name of Samsung’s Android software, it can be accessed by the manufacturer. The familiar buttons for Back, home and the recently opened apps disappear with it. Android, the new Samsung controls work differently. The new overview of open apps (image source: XDA Developers). The swipe upwards must be done at Samsung at the point where the Android buttons were previously available. A swipe to the left leads back to the opened app, a swipe in the middle to the top and the user returns to the homescreen and a swipe to the right opens the multitasking view with the recently opened applications. As with the classic navigation buttons, however, Samsung also allows swiping gestures to change their order. Apart from the gesture control, the Samsung Experience 10.0 also brings a number of visual innovations. Overall, Samsung relies on softer shapes with many roundings. Striking is also the generous handling of the available space. Less is more, so to speak. The times when Samsung wanted to store a lot of information on the smallest possible space seem to be over for now at least for the time being. Whether you like it, is ultimately a matter of taste. Not a few may blame Samsung for wasting space. Especially on the overview page (left) shows that the Samsung Experience 10.0 generously deals with space. (Source: XDA Developers). The Samsung Experience 10.0 still makes an unfinished impression in many places, as the XDA developers also note in the video (source). Until the pre-series firmware becomes the final version, it is likely that a few more months will pass, which may involve major changes. Which Galaxy smartphones get updated with Android 9 Pie including the Samsung Experience 10.0. As set but are current top phones: such as the Galaxy S9 , Galaxy S9 Plus and the Galaxy Note 9 . Likewise, probably the flagship smartphones of last year, so the Galaxy S8 , Galaxy S8 Plus and Galaxy Note 8 , do not worry about the update. Samsung middle class around the Galaxy A6 (2018) and Galaxy A6 (2018) plus .